Facebook’s and Google’s donation campaigns arrived months into an outbreak that in early summer had already been deemed “the worst Ebola outbreak in history.” And while their giving initiatives are generous — Facebook leveraged valuable online real estate for donation banners, while Google has already raised $5.1 million with its double-matched donations — it’s hard not to ask a lingering question: Why not sooner? The question has plagued most humanitarian efforts in the Ebola fight. The World Health Organization’s chief criticized the timing of international support, mostly from governments, NGOs and international groups, as being “too little, too late” as far back as September. 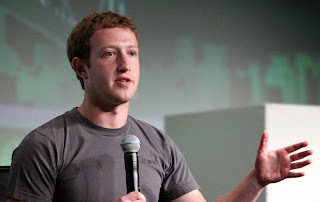 Some critics have even stepped forward to blast Silicon Valley companies over their timing directly — a Washington Post column noted that multimillion dollar gifts from Silicon Valley figureheads like Mark Zuckerberg and Bill Gates highlighted the silence from the companies themselves. Another critic argued that Silicon Valley corporations, so-called promisers of change, were hypocritically “sitting out” the Ebola fight. But companies like Facebook and Google weren’t really “sitting out.” Silicon Valley’s humanitarian aid doesn’t normally come in the form of cash — it comes in the form of tech. Google’s Ebola donation campaign was a product of its nonprofit arm, which funds innovative groups using technology to change the world, a Google spokesperson says. Facebook has used its site to show its massive audience how to support nonprofits fighting Ebola, says a spokesperson at the U.N. Foundation, which has worked with Facebook for months to promote Ebola aid. Tech has been at the forefront of Silicon Valley’s aid in previous crises too. Google launched crisis maps to aid emergency preparedness and response, while Facebook’s social network, recently a platform for the ALS Ice Bucket Challenge fundraising phenomenon, has facilitated communication during disasters. Still, while both companies have used their platforms to invite donations in the past, like during last year’s Typhoon Haiyan in the Philippines, neither had ever asked their users for help so directly — especially Facebook, which just last week followed Google’s example and started asking users to donate to various humanitarian organizations. That move, a Facebook spokesperson says, was way to amplify Facebook’s other ongoing humanitarian-contribution efforts. Facebook and Google’s Ebola donation requests are just two ground-level examples of humanitarian efforts from an industry that’s better known for long-term, moonshot-style tech for a cause. Google has plans for a pill that can diagnose cancer and a smart contact lens that monitors diabetics’ glucose level, for example, while Facebook is developing solar-powered drones that beam down Internet access to less developed regions of the world. And few people in the humanitarian community really expect Silicon Valley companies, flush with cash as they are, to solicit donations or shell out their own money, but they very much welcome Facebook and Google’s efforts here. “Silicon Valley companies have been very generous, as companies, to respond to different disasters. But for them to take a public stand and campaign like they’ve done is unprecedented,” says Rebecca Milner, vice president of institutional advancement at International Medical Corps (IMC), one of three nonprofits on Facebook’s Ebola donation banner. IMC and other public-health organizations say they don’t consider Facebook’s and Google’s efforts to be too late. That’s partly because Silicon Valley isn’t usually involved in large coordinated efforts with humanitarian organizations, which work mostly with governments, NGOs and nonprofits. But that’s something that’s starting to change. Still, health experts believe that looking back — especially tempting now when we hear the best time for aid would’ve been before the Ebola outbreak even began — isn’t as useful as discovering how Silicon Valley’s humanitarian-engagement methods can be a powerful tool in the Ebola fight moving forward. The question has plagued most humanitarian efforts in the Ebola fight. The World Health Organization’s chief criticized the timing of international support, mostly from governments, NGOs and international groups, as being “too little, too late” as far back as September.